Item-# 99997 Glycerin 16 fl. oz. Item-# 99996 Vinegar 16 fl. oz. Item-# 99995 Shampoo 16 fl. oz. 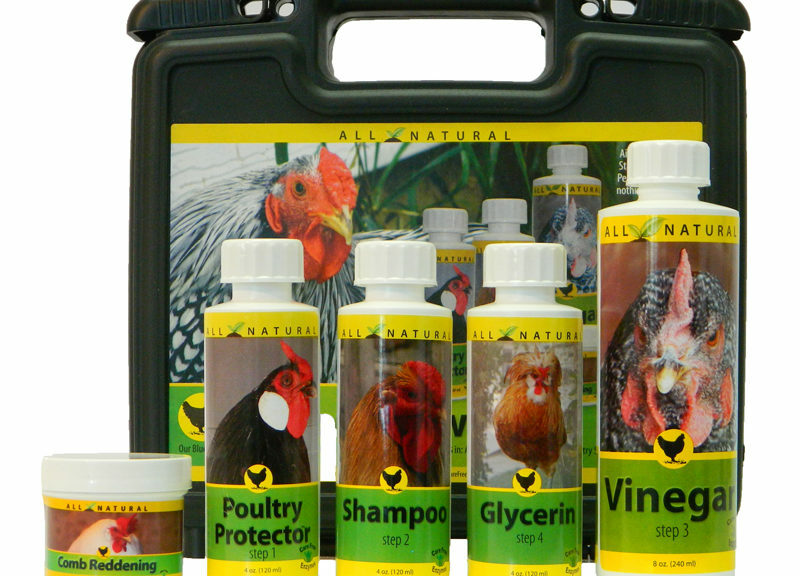 Your ultimate chicken shampoo & prep kit of poultry cleansers and protectors.The Best of Show contains an array of products used by Blue Ribbon Chicken owners’. We have collaborated with several Award-Winning chicken owners’ and asked them what they use, and what they would want in a kit. The kit includes step-by-step instructions and a tip guide.